Master Yee as a young black belt in Korea. 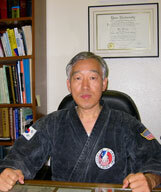 The founder of the Institue is Grand Master Young Yee. 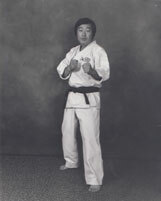 Master Yee retains a 9th degree black belt in both Tae Kwon Do and Hap Ki Do. Master Yee has been teaching for over 40 years. Master Yee is Ph.D. in Oriental Medicine and the President of Young Yee acupuncture and herb clinic and is a California licensed acupuncturies. He is also serving as a professor of Dongguk Royal University of Oriental Medicine. Master Yee in his school in Torrance.